Captain America 139 VF+ (8.5) 7/71 Gray Gargoyle! "The Fateful Choice!" 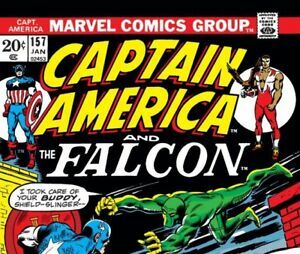 CAPTAIN AMERICA 157 FALCON VIPER MARVEL BRONZE AGE SAL BUSCEMA 1973 BIN!! MARVEL: CAPTAIN AMERICA #157 & 158, 1ST VIPER APP., 2 PART STORY, 1972, NM!!! Story Titles "Vengeance!" Cries the Viper! Indicia Publisher Magazine Management Co., Inc.